On a recent visit to Sonoma County wine country, I popped by the mom-and-pop Lauterbach Cellars to see a boutique wine business in action. Not only was I welcome with generosity of hospitality, good spirits, and a wealth of wine knowledge — I was absolutely blown away by what this couple creates. 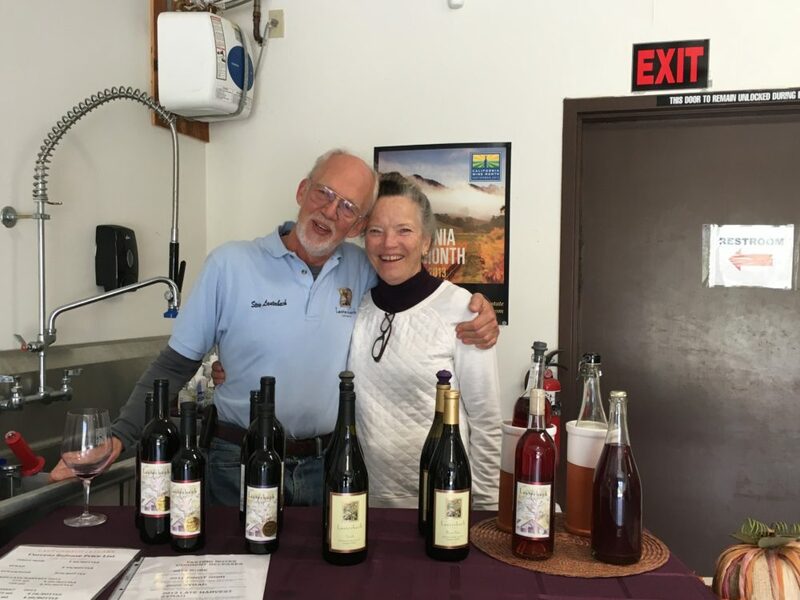 Self-educated winemaker Stew Lauterbach and wife Barb pretty much just make the wines they like and like the wines they make. But today I want to highlight one of my favorites in the current Lauterbach line up. About the Wine: On the Lauterbach property, the Syrah grapes grow on a gentle sloping hill that perfectly captures the morning fog, but absorbs the afternoon sun. And 2009 climate consisted of the perfect balance between the two allowing the Syrah grapes to ripen to their full potential and providing the Lauterbachs with a successful harvest. None of Lauterbach Cellars red wines are cold-soaked pre-fermentation — part of the reason is they just don’t have the space on their modest estate. But ultimately, these two like big bold flavors and working with the grapes as-is is one way to grab that intensity from the vine. 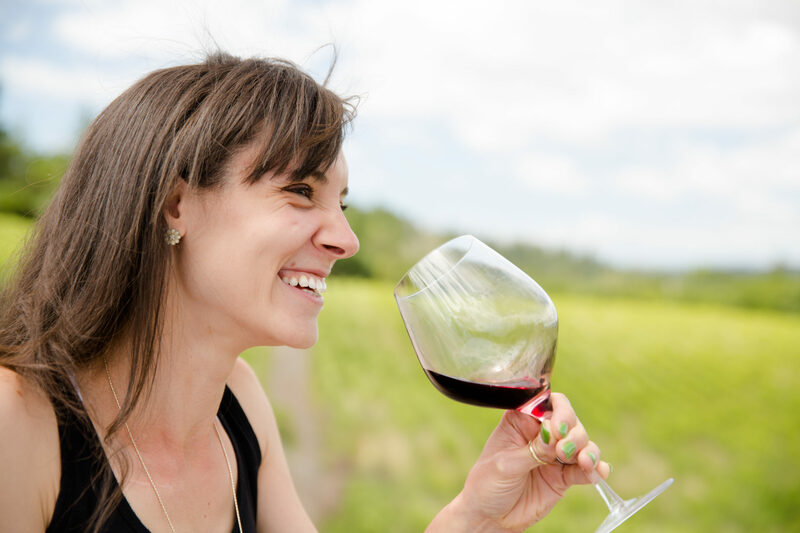 Also, all wines are unflitered and unfined — so don’t be surprised if you see sediment floating in your bottle or if you get a “not quite tanniny, but tannin-esque” texture. All wines are aged in oak barrels (predominantly neutral to avoid any over-oaking). Flavor Profile: This is one of the best Syrah’s I’ve had (and we’re big fans of Syrahs around here). Ok, you’ll need a bit more than that I’m sure. The wine is dark, almost inky on the pour and the nose is just as full on. Intense aromas of plump, dark fruits — plums, blackberries, currants and dates — balance amongst some savory scents like black olives and green, earthy herbs. On the palate this flavors absolutely come through — but it the most refreshing way possible. The fruits you sensed on the nose are present in a in an explosively jammy way, filling the mouth with pure juices. Meanwhile, those savory notes just linger in the background adding a bit of intrigue. The tannins are present from start to finish, keeping acidity and sweetness in check but never overtaking the tongue at any point. Even the finish, a firm one, is clean, precise. It’s a rare quality, but this full-bodied, obviously tannin-rich wine is light — both on the palate and in the body. It’s a bottle that lends itself well to food, but is easy to drink far after the meal has concluded. 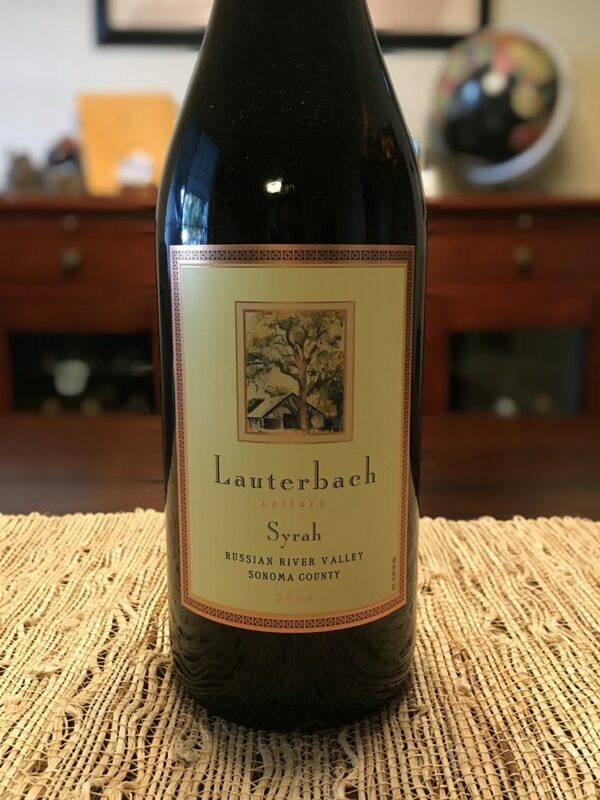 Food Pairing: Lauterbach Cellars 2009 Syrah is a full-on flavor bomb that could easily stand up to a hearty meat. But I would argue to compliment its delicacy. Something simple like grilled salmon atop an herb-based salad would be the perfect accompaniment. While the salmon is sturdy enough to partner with the obvious heft of the wine, the underlying tannins of the wine would do well to cut through the oily nature of the fish. Meanwhile, the herbs in the salad will bring forward some of the more earthy aromatics hidden in the wine. Ultimately, don’t chose a meal that will over shadow this wine. Remember, despite its big persona, it has a light-hearted nature. Besides, if you eat something light, you can continue to indulge in this utterly amazing wine after dinner and into the night. More Info: Because I cannot yet post my full review for Lauterbach Cellars, please visit the Lauterbach Cellars website for more information about the couple, their wines, and to purchase directly.